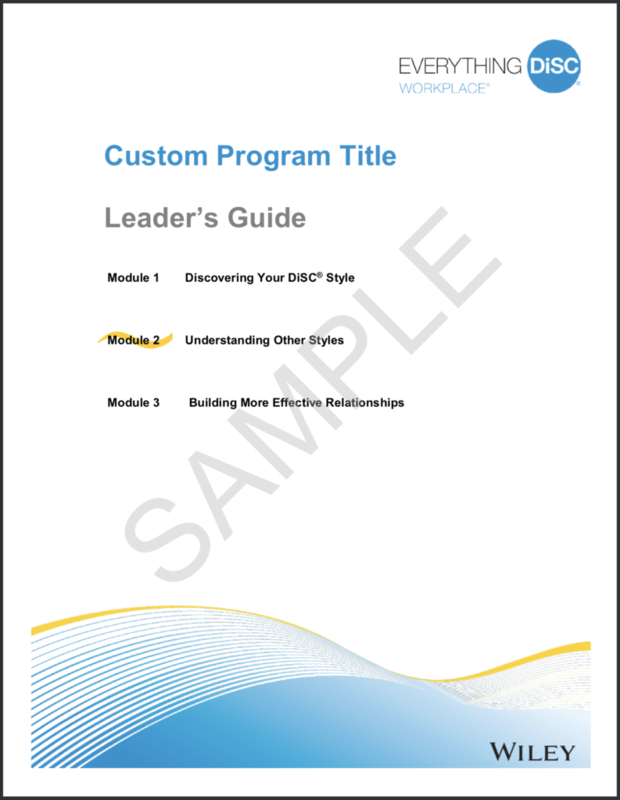 The Workplace Training that is provided in the facilitation kit is broken out over three 90-minute modules. The kit also provides two additional modules so the training can take place during a full work day, or split up as a half day training with follow-up activities. Don’t have time for either a full day or half day? 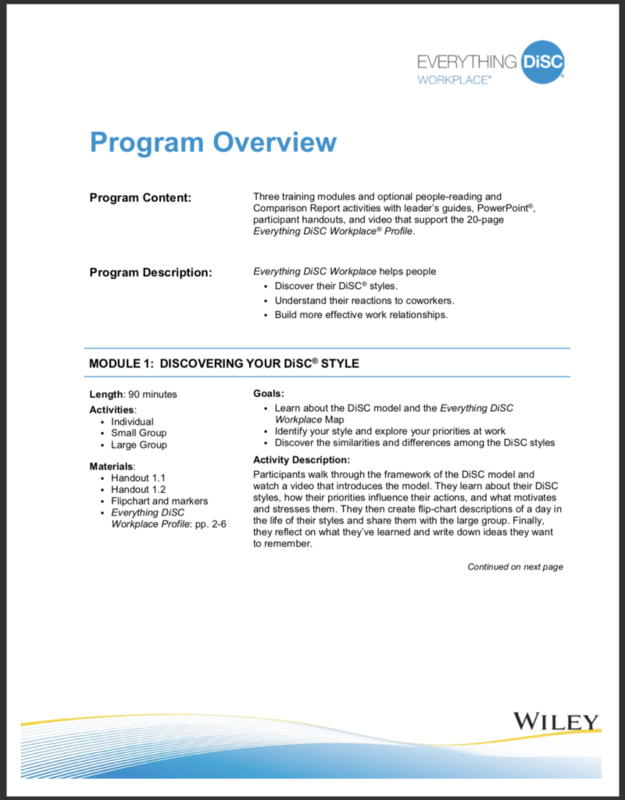 You can teach the modules individually, or only use the first module to introduce your audience to DiSC!